Kathleen has excellent customer service and communication skills. She is very dedicated and learns new tasks very quickly. Most recently, she worked in the cashier's office in the service department at an auto dealership for over four years. That position required daily interaction with customers. She processed payments as well as handled customer service related concerns. Prior to that, she was in the insurance industry for a number of years. 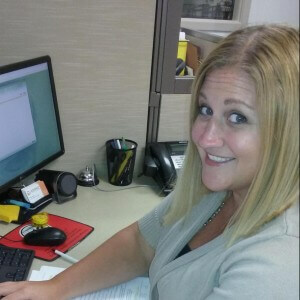 Kathleen has a desire to settle into another company that will appreciate her loyalty and passion for customer service. Her personality is sure to make all visitors, customers, and co-workers feel at ease when interacting with her. She is open to any front desk, office, or customer service position in the Monroe, Toledo, or Downriver area.